Do you know how your dog got his beautiful coat color? Part of it has to do with the right amount of copper in his blood. Besides that, copper in dogs plays other major roles in your dog’s health including how much oxygen he gets in his blood. Like most minerals, copper is readily available in the food your dog is eating. If it is a raw diet, he will get most of his copper from fish, legumes, and whole grains. He will also get plenty of copper from organ meat such as liver and kidneys. On the other hand, commercially bought dry kibble also contains enough amounts of copper to benefit your dog. Alternatively, you can also boost your dog’s intake of copper through pet supplements. Supplements come in the form of tablets, soluble powders, or liquid form. In addition, most copper pet supplements are flavored so your pooch will definitely not mind the taste. 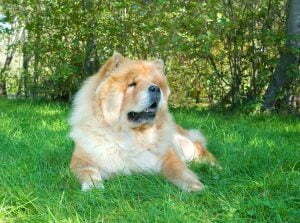 Copper is involved in the production of melanin which affects the color of your dog’s coat. Moreover, copper also helps in the formation of bones, collagen, and connective tissues. Copper is also integral for the absorption of minerals such as iron and calcium. If you want your canine friend to look youthful for long, just add copper in his daily minerals. Copper is known to be an antioxidant that stops free radicals, which cause aging, to be released into the blood. In addition, copper plays a big role in enzymatic actions in the form of lysyl oxidase, monoamine oxidase, and cytochrome c oxidase. Copper is known to be directly involved in the formation of red blood cells. Red blood cells carry oxygen and nutrients to the main body organs for nourishment. So if you want your pooch to enjoy the fresh country air with you, get him some copper. While copper will do your pooch a lot of good health-wise, it may also hurt him if he consumes too much of it. Excess copper in your dog’s blood will be stored in the liver where it can trigger organ inflammation. If this problem is not addressed early, it can escalate to cirrhosis and eventually liver failure. Therefore, ensure your canine friend only gets the required daily intake of the mineral. Also, the absorption of copper will depend on the breed of your dog. Most dogs do not have a problem absorbing copper save for a few breeds like the Skye terrier, Dalmatian, Bedlington terrier, and West Highland White Terriers. With such dogs, you have to be really vigilant with how much of the mineral copper they consume. The required dosage of copper for your dog is 3.3 mg per pound of food. For dogs with a problem absorbing copper, like the ones mentioned above, a higher dose may be recommended. However, do seek the counsel of a trained vet first to determine how much copper your pooch needs in his food. Copper in dogs is essential as it aids in a number of physiological processes. However, for your dog to realize these benefits, you have to ensure he gets the adequate amount of copper in his food. This can be done through a raw diet, high-quality dry food, or pet supplements with copper in them.